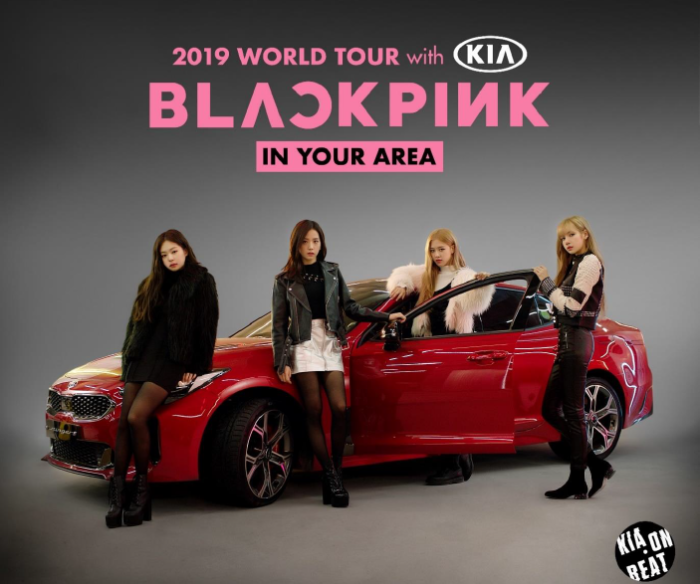 Kia Motors Corporation has partnered with South Korean girl group, BLACKPINK, serving as the title sponsor for the group’s 2019 World Tour. In partnership with BLACKPINK, Kia aims to establish a “closer connection” to Asia’s younger generation through a new K-Pop-inspired outreach campaign. As the title sponsor of the group’s World Tour, Kia will hold a series of experiential events throughout the duration of the tour. This includes giving local fans the opportunity to meet the K-Pop stars face-to-face. The World Tour runs from January 2019 on a global scale including seven cities in Asia such as Singapore, Bangkok, and Hong Kong. In a statement to Marketing, a Kia spokesperson said that the brand aims to raise its engagement rate on social media, as well as test drive figures via the various promotions through its sponsorship. Kia Motors will be looking into similar campaigns based on the performance of the current campaign. Kia also looks to engage customers through social media campaigns and contests prior to the concert. Special Kia exhibition booths will have the company’s newest vehicles on display at each stop on the tour calendar and present exclusive photo and prize giveaway opportunities to create an “engaging” customer experience. “Kia sits alongside K-Pop as one of Korea’s most successful global exports, and BLACKPINK is a perfect fit for our brand. BLACKPINK is one of the most dynamic, stylish and popular music acts in the world today, and given the massive existing fan base they have across Singapore, this partnership affords us a platform to engage with the next generation of drivers here,” Eric Chan, managing director, Cycle & Carriage Singapore said. The partnership with BLACKPINK is the first in a series of collaborations Kia will be announcing with K-Pop superstars this year. The brand aims to engage with music fans, as it looks to collaborate with various K-POP artists. Kia has created a dedicated Instagram account together with a new digital platform to notify Kia customers and global K-Pop fans of new content and headlines from the Korean music industry. These channels look to offer exclusive access to consumers on collaborative content between Kia and K-Pop artists. Kia is not the only brand drawn to the K-pop fever. INTI and Shopee are other brands that want a slice of the BLACKPINK group. INTI International University & Colleges became a co-sponsor for a concert by South Korean girl group BLACKPINK in Kuala Lumpur. INTI students will have access to promotions for exclusive BLACKPINK giveaways, including send-off passes, sound-check passes, autographed posters and tickets to the concert. Meanwhile, Shopee tapped South Korean girl group BLACKPINK as its first-ever regional brand ambassador, as part of its partnership with YG Group in Southeast Asia and Taiwan. This came in line with the launch of its Shopee 12.12 Birthday Sale. A YG Official Store will also be launched on Shopee across markets in the region, offering Kpop fans access to a range of official merchandise. RHB Bank gives away Vespas in its latest 'Italia Mania' campaign, partnering with Naza Premira, official Vespa distributor in Mala.. This is for its champagne and wine portfolio; Krug, Veuve Clicquot, Dom Pérignon, Moët & Chandon and Cloudy Bay, as well as premiu..